With more and more me-too identical products to crowd the marketplace, it is important to offer innovative products to stand out among the competitors, to boldly create where no one has done before. This requires courage and conviction. Lenovo has done it successfully for the YOGA foldable laptop series (fondly replicated by several other brands) and now has extended that commitment to the tablet. A book-inspired design is not new. Sony tried that on the first Xperia S tablet, but it was not a all-out approach to mimic a book. For Lenovo, it applied a design that is largely familiar: a straightforward cylindrical base with ergonomics for holding. 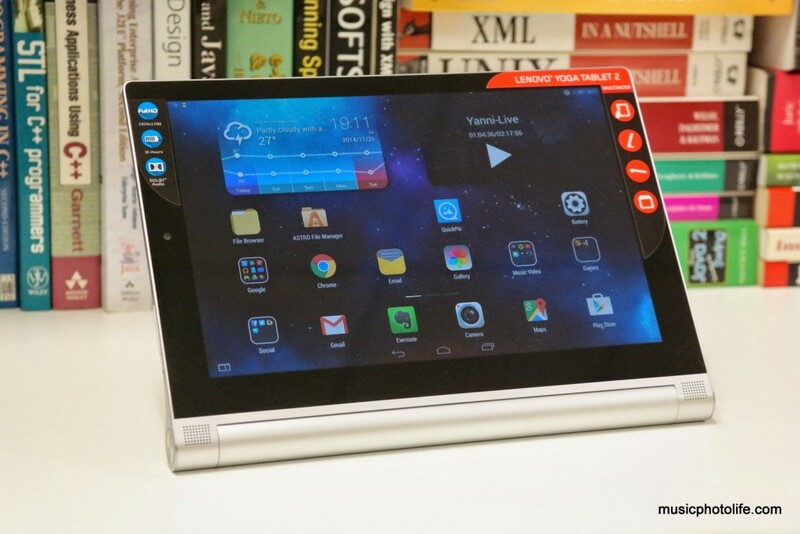 This design, first introduced in the first Lenovo tablet in 2013, remains largely unchanged in the latest Yoga Tablet 2. 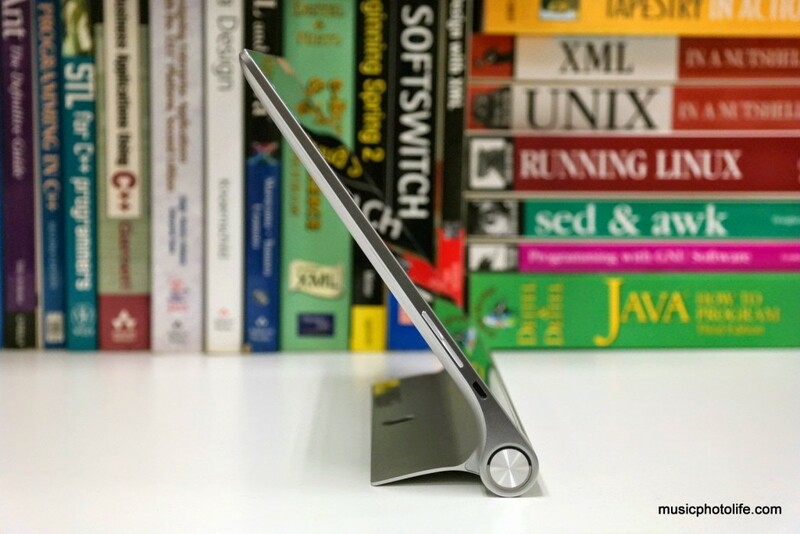 With its versatile flip stand, the Yoga Tablet 2 allows consumer to use it in multiple modes. Hold, stand, tilt, and a new mode, hang. Apart from design, the other major difference in the Yoga Tablet 2 from the rest of the Android tablets is its unique user interface. At first look, one notices that its large 10-inch IPS Full HD display populates 6×4 app icons (plus another row of apps dock), which is a comfortable number to work with. While swiping down the notification bar, you would notice it is bare. Where are the setting icons? They appear when you swipe up from the bottom of the screen. The next thing you might notice is that there is no apps drawer, just like iOS. So, all the apps installed on the Yoga Tablet 2 is in one of the home screen pages. 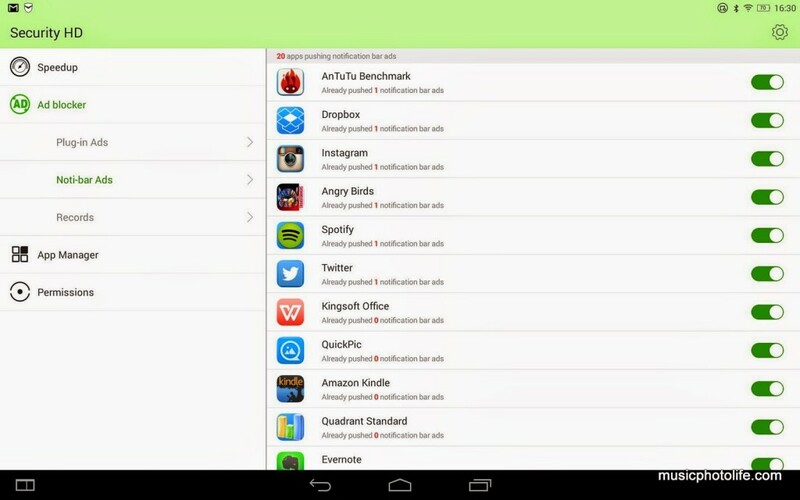 I find that really convenient for new users to manage their apps in Android. New apps are aptly labelled with a “NEW” badge. When you browse the device settings list, you will find an option to schedule the tablet to power off at a predetermined time. I think all tablets should have this option to save battery life, for sometimes we might forget to shut down the tablet after use, causing unnecessary battery drain. You might also notice an icon at the lower left corner of the screen. 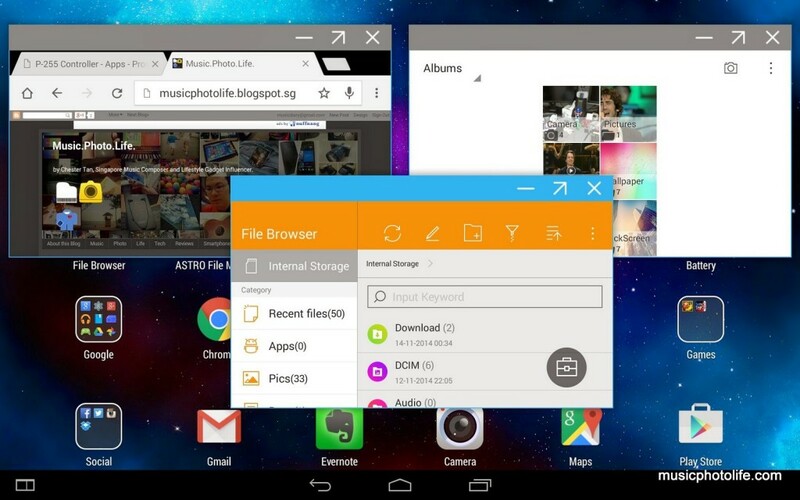 That is the Multi Window icon, which allows up to 3 floating windows to be opened. 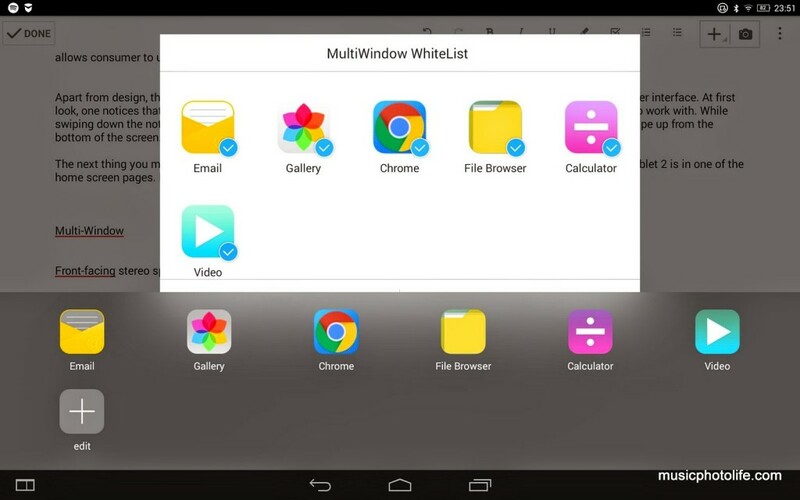 The minimised windows appear as icons along side with the Multi Window icon, similar to Windows task bar. You can disable this feature under the settings if you don’t need it. Sadly, it does not support a lot of apps to be that useful. You would also notice an app notification appearing permanently in the notification list. 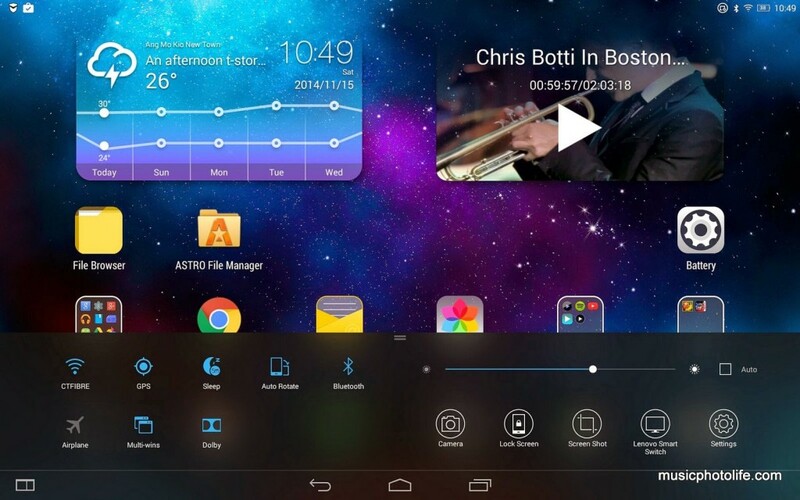 The pre-installed Security HD app helps to keep the tablet running on optimal condition, and it does so by flushing cache, cleaning up residual files, managing app permissions, blocking ads. With the increased awareness of security issues, this app should set the user at ease and empower them to manage the app permissions. Coupled with the Dolby Audio app, the tablet pumps clear and loud audio from the two front-facing stereo speakers. 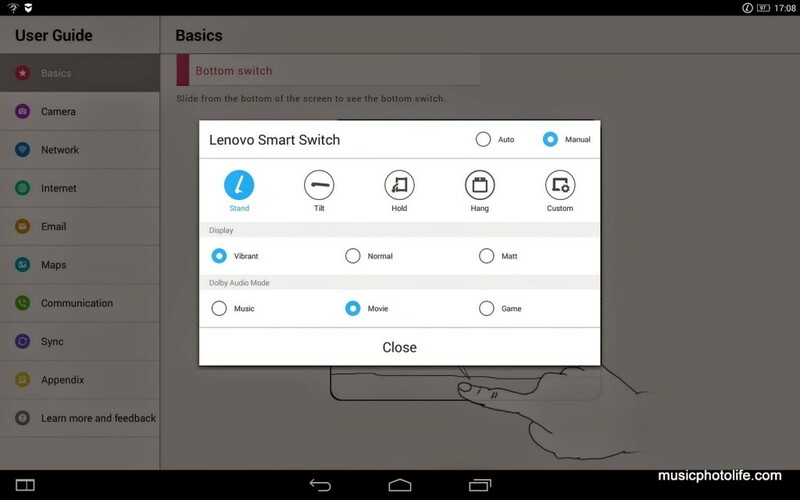 And just like the Windows Yoga, the Lenovo Smart Switch feature automatically selects the audio and display settings based on the Yoga mode it detects. But not all apps support the Dolby audio, like the Poweramp music app. When Dolby mode is disabled, the audio becomes weak and lacks punch. The camera quality is nothing to shout about. While the images appear to produce accurate colour tones, they lack sharpness and details. The camera app comes with a few shooting modes like Panorama, Night, Macro, Speech Photo, and there are colour effect settings (like sepia, mono, negative). I won’t brood over it since no one should be relying on bulky tablets to capture high quality images the way we expect from pocketable smartphones. 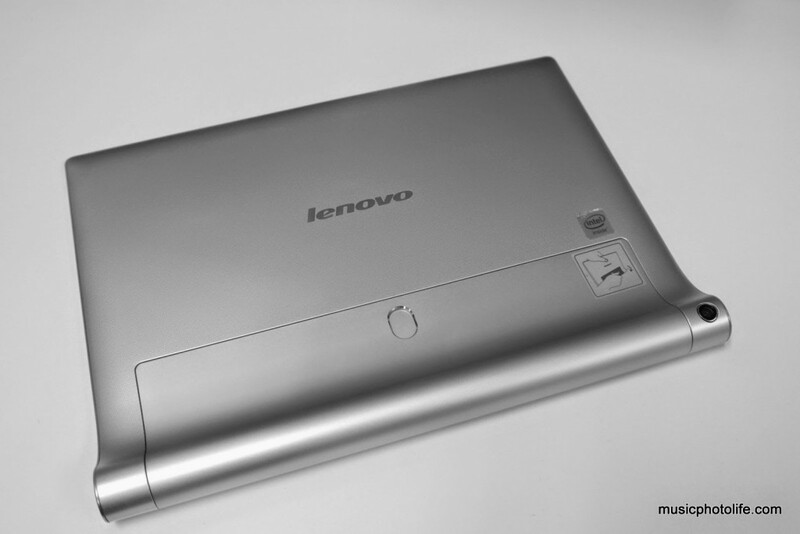 For battery life, Lenovo boasts that it can hit 18 hours. With a 9400mAh capacity, it is certainly not difficult at all. The Yoga Tablet 2 has the largest battery in a 10-inch tablet. I did not do any benchmark testing, but under normal usage, the battery seems to drain just about 5% per hour, which when extrapolated seems to fit the claims. A minor drawback of having a large battery: it takes 3 hours to fully charge the device with the provided 2A charger. Throughout my 2-week review, I encountered instances where the tablet does not run quite smoothly. Sometimes it took a few seconds to wake up after pressing the power button. In some instances, the multi-window apps became unresponsive and I had to force-close them to regain control. Apart from that, the overall app-to-app response is speedy and does not feel as laggy as Samsung Galaxy Note tablets. 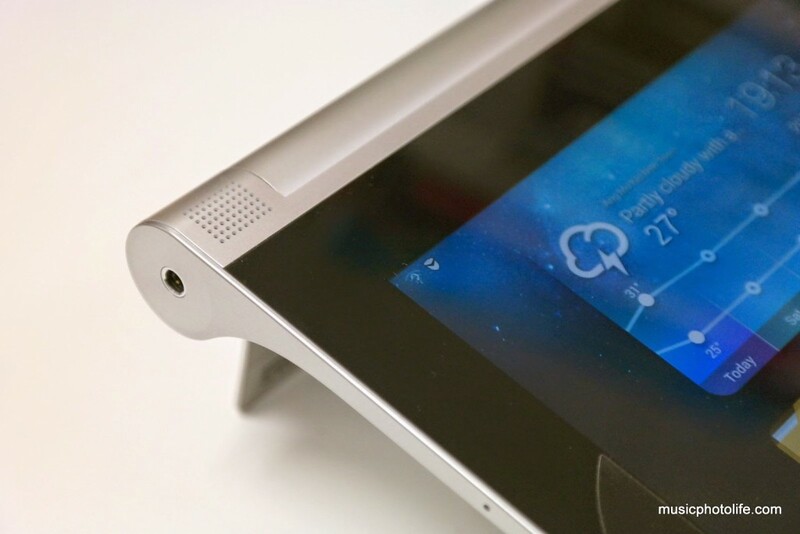 The Lenovo Yoga Tablet 2 offers one of the most unique user experience for a tablet device. Unlike other generic-designed slates that are bent on achieving design records (e.g. thinnest, lightest, fastest, brightest), the Yoga Tablet 2 offers several use cases that really works. As a tablet with stand, it produces loud audio excellent for media consumption – watching video, listening to music, photo e-frame. As a tablet on hand, it offers a comfortable hold for long duration without feeling strenuous. As a tablet with hang mode, it is possible to use it at eye level by hanging it around the house. 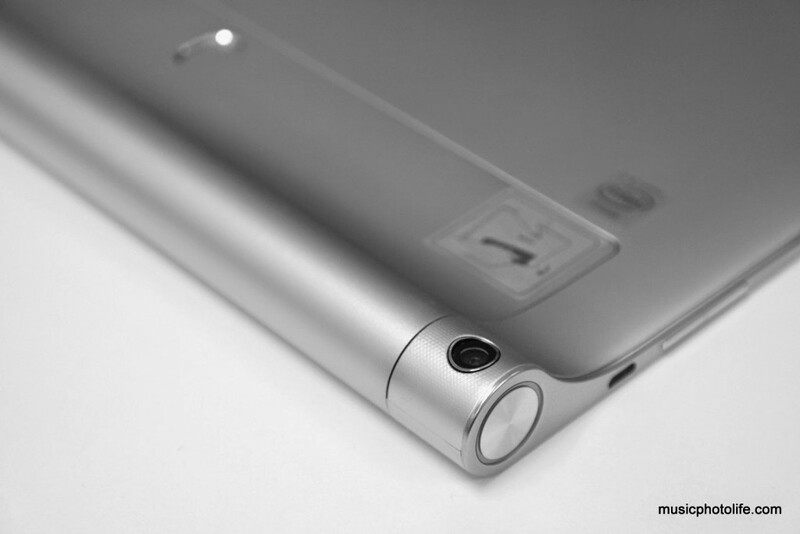 The large power button means you can turn on the device without a fuss. The Yoga Tablet 2 may not be the most powerful tablet, but it is the most comfortable tablet that you will enjoy. 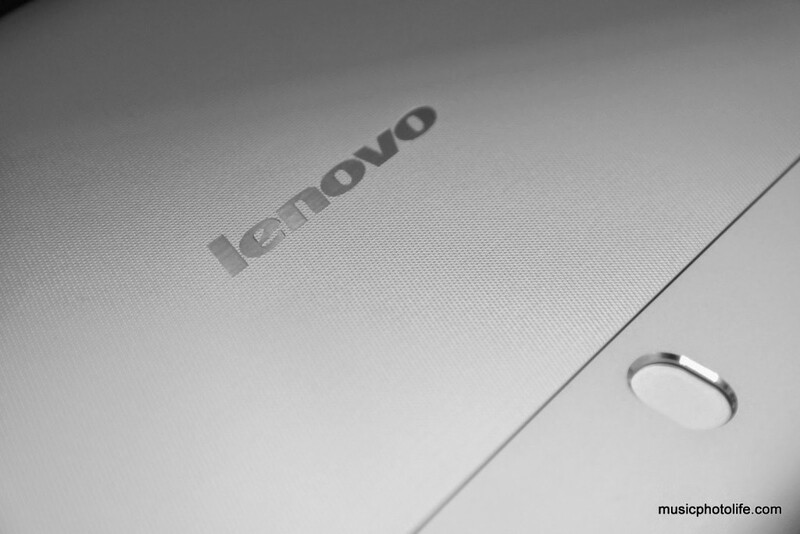 The Yoga Tablet 2 is available at Lenovo Singapore online from S$599.